Play Almighty Reels™—Garden of Persephone online for free now! 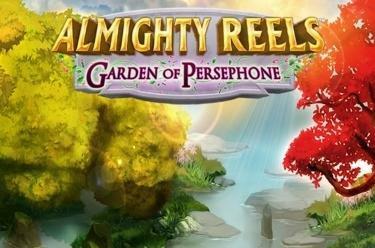 In the slot Almighty Reels™—Garden of Persephone you set foot into Persephone's palace on 5 reels and 25 fixed lines. The Goddess herself fetches the highest Twist winnings. The aim with Almighty Reels™—Garden of Persephone is to land 5 identical symbols on one of the win lines that all run from left to right across the reels. 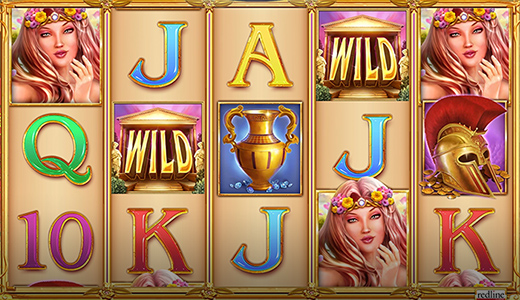 The Golden Palace can substitute for all symbols in the slot (except for the Scatter) and therefore increase your chances of winning. If the Golden Coin, the Scatter, appears fully visible on the reels it triggers 10 free games. Prior to the free games starting a Match 3 Game is used to determine which of the slot symbols—Persephone herself, the Helmet, the Vase, the Harp or the Cornucopia turns into a giant symbol that covers 9 fields during the free games. During the basic game with any spin one of the winning symbols can appear as a giant symbol on the reels 2 to 4 and cover 9 reel positions! A golden palace amidst a lavishly blossoming forest and a beautiful, generous goddess who can't wait to shower you with her offerings—that is Almighty Reels™—Garden of Persephone. The most precious treasures are hidden in Persephone's realm; but you are in need of the Golden Coin to trigger the free games with giant winning symbol!